Our Strategic School Improvement Fund project launch is now entering the last phase. 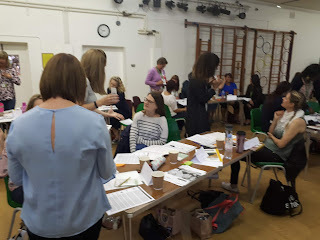 Having gone through the aims of the project with Headteacher’s, and trained the Teaching Assistants who will deliver the NELI intervention we have now spent two days with our SLEs. The SLEs from Broadford have been joined by leaders from Mead, Gearies, Clockhouse & Hilldene Primary. I am really excited at the opportunity to go and work with other settings and see this intervention in action! Communication is such an important aspect of the Early Learning Goals. I am fully behind the aims of the project to improve outcomes across Havering. As the project progresses we will keep updating you on the impact that the NELI intervention is having. The Havering Primary Teaching School Alliance is committed to providing high quality professional development opportunities for colleagues across our Federation, locally and further afield. We provide professional development courses through a range of expert educationalists as well as specialists working in or closely with schools. Within our Learning Federation, we are continually developing a culture of continuous improvement. This culture drives progress in teaching and learning to ensure that our pupils’ socio economic background is not a barrier to their progress. We expect all of the children we work with to achieve personal excellence and become lifelong learners. 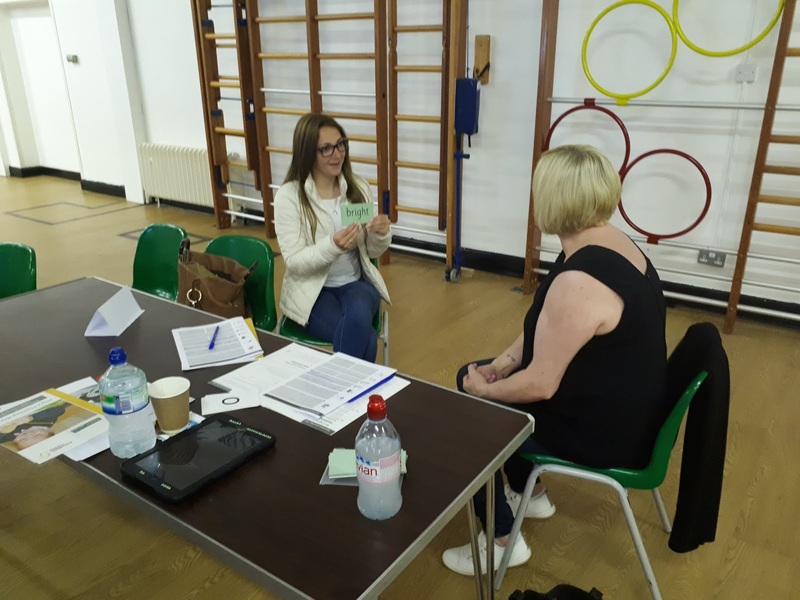 During our last inset day, we received high quality training that reinforces and develops the key learning approaches to RWI. These development days play a crucial part in ensuring our vision becomes reality; we believe our pupils should be reading confidently by 6 so that they can access a rich curriculum. 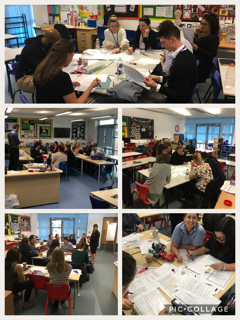 In partnership with the Education Development Trust, our Improvement Facilitators (IF) met together to review the progress with our peer review model so far. The IF role is vital in helping to establish staff ownership of the improvement targets. 100% of schools reviewed agreed that the IF workshop empowered staff to make a personal plan of action. Effective communication between the IF and the Lead Reviewer is key. Where workshops have not been as effective it is because the aim wasn’t clearly defined enough and the IF needed greater support. There are currently two clusters of schools - representing over 15 Havering primaries. In the Autumn of 2018 there is likely to be a third cluster starting. In addition there is a group of schools who are using the NAHT Aspire model to support a self led improvement cycle. What impact has been seen so far? It has been really inspiring to see the growth in confidence of the Havering IFs. They have risen to the challenge and been a vital part of the success of this first year of the review cycle. A huge thank you to the Teaching School Council for organising an inspirational Conference. As Broadford Primary is based in one of Havering's most deprived areas, the presentation from Sir John Jones really resonated. Although we are very frank with staff and parents about the 40million words vs 10 million words gap by the time pupils enter into our Early Years Setting, the scale of the gap still hits you when the facts are refreshed. Particularly upsetting is the 12:1 positivity ratio advantage that children from affluent backgrounds enjoy. Sadly many deprived children face have the opposite, receiving far more negative comments. Picking up their self esteem, building confidence and enabling them to see themselves as a success are real challenges. A ministry of hope in the service of the young. It is even harder when you aren’t likely to see the results of what you do. But despite the revisiting of the challenges that we see every day, we left inspired to come back to Broadford & Mead to continue delivering on our vision that no child's future will be determined by their socio economic background. 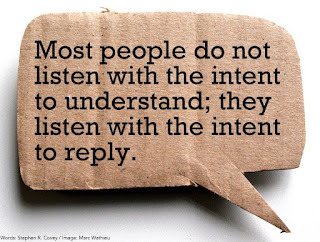 Listening is an art and too few actually do it well. 1. Putting our own spin on the purpose or content of the conversation. Have you ever started a conversation and immediately put a thought or question out there that makes your point of view clear and fixed? Instead of giving the other individual time to formulate a response, we immediately re-phrase the question or remark and answer it ourselves. Even when we stop and wait for a response , we often don’t hear, as we are concentrating on our reply to what we assume they will say. The desire to be perceived as quick witted or decisive means we could be missing so much vital and crucial information. Watch for non-verbal body language. When a person is excited they intuitively lean forward as if to say, “don’t miss this next point because it is very important”. Remain quiet, not just to hear every word, notice the inflection of their voice, whether they raise or lower the volume and the tone they use. Non-verbal hints can make up more than 90% of the communication going on in a conversation. 4. Wait before you respond... count to 8! By speaking too soon you may cut off the other individual's response. Be smart and give the person time to acknowledge your comment or statement. It builds respect and credibility. You also allow yourself time to hear and take notice of non verbal cues. Leadership is not an easy role. There are a multitude of ways in which you can make a mistake. However, if you are self aware then you can do something about it! Fostering a cult of personality. It’s easy for leaders to get caught up in their own worlds as there are many systems in place that make it all about them. 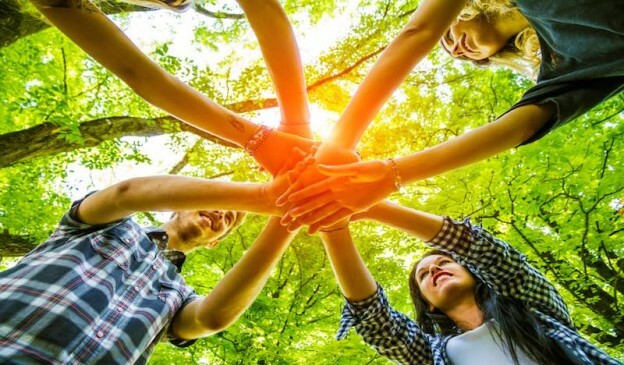 These leaders identify so strongly with their leadership roles that instead of remembering that the only reason they’re there is to serve others, they start thinking, ‘It’s my world, and we’ll do things my way.’ Being a good leader requires remembering that you’re there for a reason, and the reason certainly isn’t to have your way. High-integrity leaders not only welcome questioning and criticism, they insist on it. Even if only a few people see a leader’s misstep (instead of millions), dodging accountability can be incredibly damaging. A person who refuses to say “the buck stops here” really isn’t a leader at all. Being a leader requires being confident enough in your own decisions and those of your team to own them when they fail. The very best leaders take the blame but share the credit. Many leaders think they have enough emotional intelligence (EQ). And many times, they are proficient in some EQ skills, but when it comes to understanding themselves, they are woefully blind. It’s not that they’re hypocrites; they just don’t see what everyone else sees. They might play favorites, be tough to work with, or receive criticism badly. And they aren’t alone, as TalentSmart research involving more than a million people shows that just 36% of us are accurate in our self-assessments. Forgetting that communication is a two-way street. Many leaders also think that they’re great communicators, not realizing that they’re only communicating in one direction. Some pride themselves on being approachable and easily accessible, yet they don’t really hear the ideas that people share with them. Some leaders don’t set goals or provide context for the things they ask people to do, and others never offer feedback, leaving people wondering if they’re more likely to get promoted or fired. Succumbing to the tyranny of the urgent. The tyranny of the urgent is what happens when leaders spend their days putting out small fires. They take care of what’s dancing around in front of their faces and lose focus of what’s truly important—their people. Your integrity as a leader hinges upon your ability to avoid distractions that prevent you from putting your people first. The bad news... these mistakes are common and they are damaging. The good news... they are easily fixed if you are aware of them! It has recently been the topic of debate how Primary school teachers are facing a number of barriers in teaching science. Typically only 1 hour 24 minutes a week is devoted to the subject (according to a new report from CFE Research for Wellcome). issues relating to setting up space or access to resources (10 per cent). Here is an article about how Broadford & Mead Primary - in partnership with Empiribox - have tried to ensure that Science remains a curriculum priority for the their children. We were delighted to welcome 37 educators from 10 different schools to Mead Primary for a Google Level 1 Bootcamp on Thursday 3rd May. 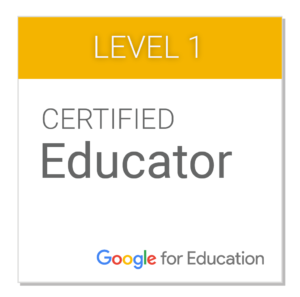 This was a change for teachers and leaders to become familiar with the different tools and apps available in Google G Suite, while imagining how they could then apply them in their school. My mission is to now get my application and admission process to a completely paperless state. I had no idea about the power of Forms and the kind of information that I could collect. 100% of the delegates agreed (67% strongly) that they were now more confident with Google G Suite and felt empowered to advance adoption in their schools. Google G Suite has been transformational at Broadford and Mead Primary. The collaboration that the apps unlocks is amazing and has dramatically improved communication, increased efficiency and reduced workload. Key to the success of the workshop are the Facilitators. Apps Events provided a brilliant team who kept the tone light, fun, enjoyable... yet incredibly informative. As you start to look ahead to a new school year - without losing focus on what there is still to achieve in this one - you may want to develop some icebreaker/get to know you activities with your teams. But don't just wait until September - you might learn something new about the people you are already working with. This icebreaker has staff or pupils arrange themselves in an inside circle and an outside circle, the inside facing out, forming pairs. Pairs discuss their answers to a getting-to-know-you question, then rotate for the next question, forming a new partnership. This game gives staff or pupils the chance to have lots of one-on-one conversations and helps them quickly feel more at home in your class. Do you play any sports? If so, which ones? Do you consider yourself shy or outgoing? Why? What was the last movie you saw? Did you like it? What is one thing you’re good at? This icebreaker has staff or pupils informally debate on light topics such as “Which animal makes a better pet…dog or cat?” Participants have to choose a position, then physically move to the side of the room that most closely represents their opinion—one side means dogs, the other side means cats—and then talk about why they chose that spot. It builds participant confidence with talking in front of their peers, and helps them quickly find kindred spirits, and it’s also just a lot of fun. Would you rather live in the country or the city? Should all students be required to learn a second language? Which is worse: bad breath or body odor? Would you rather be indoors or outdoors? Which is better: Playing sports or watching sports? Would you rather travel every single day or never leave home? At this time of year many teachers will be thinking of taking the leap into a different leadership post for September. One concern that can hold people back is the worry about coping with the challenge of establishing your identity and presence again within a new environment. Although each situation, post and person is very different, there are some common themes which can be drawn out. 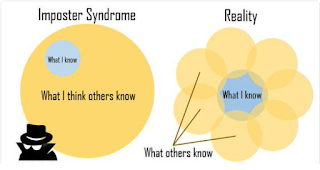 How do I stop feeling like an imposter? I don’t think my new team like me! What can I do? Connecting with your new team quickly, and building relationships with them will be high on your list of things to do in the first 100 days. Getting to know anyone can be a challenge, and here is a guest post I wrote, with 7 Ways to Build Business Rapport that will enable you to create the culture of your team from the outset. A useful reminder for anyone who’s been leading their team for some time too! I’m not sure who I am as a leader! How do I get used to this new ‘me’? New roles demand new things of you – qualities that you may still need to develop, behaviours that may initially feel uncomfortable and alien to you and a new way of ‘being’ that your team and your bosses will be expecting to see. This can be confusing and quite daunting. Understanding how to be an authentic leader and still be able to change and respond to your new role is a crucial piece of learning. None of us are set in stone – we’re not the same people we were when we joined the workforce – however many years ago that may be. This article, The Key to Being an Authentic Leader, will help you to make sense of seemingly conflicting demands on you as a leader. School work best when they work together! On Wednesday, we welcomed colleagues from local schools in Harold Hill to take part in a writing moderation session. These meetings are designed to help promote accurate, robust and consistent teacher assessment judgments against year group expectations. At Broadford Primary School, we are continually striving to develop our practice, so we were delighted when Julie Fisher asked us if we could assist with her research. 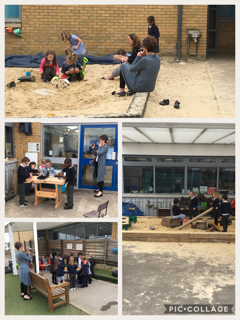 Julie spent the day at Broadford, filming in Reception, Year 1 and Year 2. 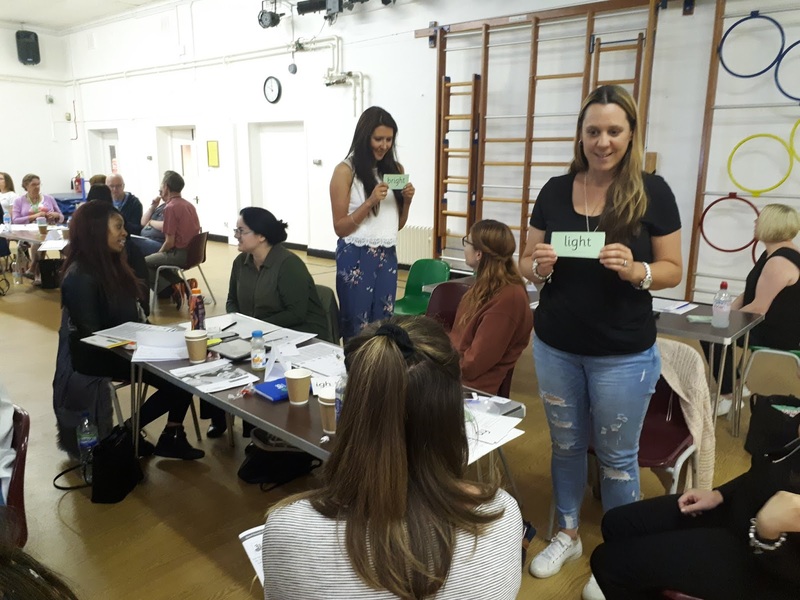 The focus was to look more closely at the different approaches used by teachers when they lead the learning in an adult-led activity, as opposed to when they are coming alongside a child-led activity. Julie filmed sessions where adults plan and direct the learning and then filmed child-led scenarios where adults come alongside the play and then ‘wait, watch and wonder’ before joining in to demonstrate that approach.